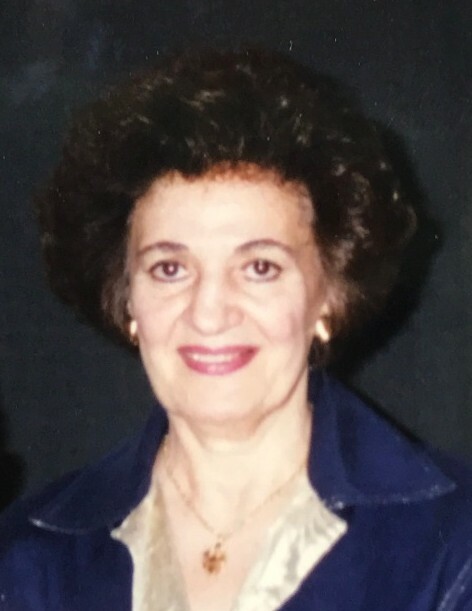 Linda Zainea, an Orthodox Christian and beloved sister, godmother, aunt, great-aunt, and great-great-aunt, who left her native Syria at the age of 22 to live with her husband in the United States, paving the way for many family members to join her, peacefully departed this life on September 11, 2018, surrounded by family in Grand Rapids, Michigan. She was 88. She was born in Damascus in 1930, the fourth in a family of six girls and one boy. In Damascus, she was a schoolteacher. After moving to the United States, she and her husband, John Zainea, owned a grocery store in downtown Grand Rapids. Although she had no children of her own, she loved caring for her large family. She was smart, strong, thoughtful, and funny. Linda was married to John for 60 years until his death in 2012. She is also preceded in death by her parents, Antoun Akel and Wadeaa Haker; and her sisters, Mathilda, Marie, Alice, and Nadia. She is survived by her sister, Lili (John) Soukar, who lives in Grand Rapids; her brother, Hael Akel in Damascus; her nieces and nephews in the United States, Mimi (Attallah) Amash, George (Sophia) Soukar, Roula (Issam) Daya, Elie (Lama) Soukar; and many other family members in the United States and Syria. On Friday, September 21, visitation will be from 3:30-7:30 p.m., with a Trisagion Prayer Service at 7:00 p.m. On Saturday, September 22, visitation will be from 10:00-10:45 a.m., followed by the funeral at 11:00 a.m. Both visitations and the funeral will be at St. Nicholas Antiochian Orthodox Church in Grand Rapids, Michigan. Contributions in Linda’s memory may be made to St. Nicholas Antiochian Orthodox Church.